The must-do activities for backpackers in new Zealand. 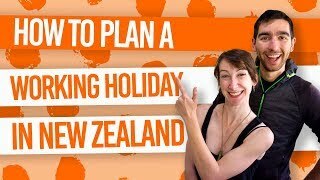 New Zealand is the country for bucket list activities! Not only will you tick off those once-in-a-lifetime adventure activities, you’ll get the chance to embrace the natural environment in many different ways! Keeping in mind that a true backpacking experience is a mix of adventure and those more affordable experiences to keep you on the go for longer. 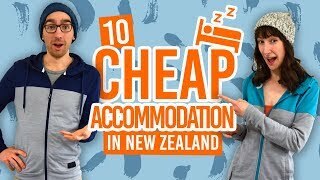 So what are the top things to do in New Zealand for backpackers? 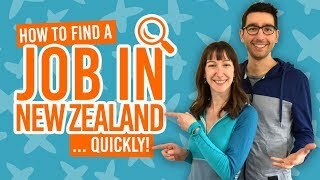 We’ll keep things as concise as possible in this top 10 list (because we can think of about 100 things to do in New Zealand). So whether you’re into wildlife, landscapes, adrenaline activities, relaxing or even crafting, we have included a range of activities that every backpacker should try when travelling around New Zealand. It’s not every day you’re exploring all the way at the bottom of the South Pacific, so make the trip worth is and do some epic activities! There are hundreds of hikes among breathtaking scenery in New Zealand but one hike that stands out is the Tongariro Alpine Crossing in the North Island. This full day hike takes you over volcanoes to emerald green and vibrant blue lakes, steaming vents and vistas of mountains, forest and lakes. There’s a reason why it is the most popular day walk in New Zealand. Find out how you can walk this hike yourself in Guide to the Tongariro Alpine Crossing. New Zealand is a country of adrenaline adventures, and there is a lot more coming up in this list. However, the heart-stopping activity that New Zealand is most famous for has to be the bungy jump. While there are a lot of places to jump from a ledge in New Zealand, Queenstown has three unique bungy jumping experiences. Either jump from the world’s very first commercial bungy jumping site at the Kawarau Bridge Bungy, or do the highest jump in New Zealand at the 132m Nevis Bungy, or freestyle it with the bungy cord strapped around your waist with The Ledge Bungy! Check out where you can be leaping from in 7 Epic Places to Bungy Jump in New Zealand. With penguins, sea lions, whales, seals and a whole lot of unique native birds, New Zealand is definitely a place for wildlife nuts! One of the awesome ways to have a close encounter with nature is by swimming with dolphins in their natural environment. Boat trips from Kaikoura, Akaroa, Tauranga and the Bay of Islands take you to swim with these social creatures that are just as interested in you as you are of them! Find out where to swim with dolphins in 5 Best Places to Swim with Dolphins in New Zealand. Immerse yourself in the Maori culture of New Zealand by learning how to carve your own greenstone. Greenstone, or pounamu, is a sacred stone in the Maori culture often carved into different shaped pendants with their own special meaning. This makes an awesome souvenir to take home after an epic backpacking trip in New Zealand. Find out more at The Greenstone Pendant Meanings and 10 Places to Experience Maori Culture in New Zealand. … Or one of the awesome alternatives. To see the famous landscapes of mountains, lakes, beaches and forests, tie up your hiking boots and tackle one of the many multi-day hiking adventures in New Zealand! The most famous of which are the New Zealand Great Walks. However, as a budgeting backpacker, you might want to consider these Great Walk alternatives for half the price! Sure, there are many places in the world where you can fling yourself out of a plane strapped to a stranger, but the reason why so many backpackers choose New Zealand for their free-falling thrills is because of the incredible scenery. Skydive over New Zealand’s largest lake in Taupo or over the glaciers at Fox Glacier! Or how about the Southern Hemisphere’s highest skydive from 19,000ft in Franz Josef? Pick an awesome skydiving location from 12 Places to Tandem Skydive in New Zealand. New Zealand, more particularly the North Island, has been shaped by volcanic and geothermal activity. With that, there are quite a few geothermal hot pools to enjoy. Even better, they’re free and we’ve listed all the best one for you in 7 Free Natural Hot Springs in New Zealand. Experience the thrills, near-misses with canyon walls, and 360-degree spins in one of the many jet boat trips around New Zealand! These Kiwi inventions are the nation’s favourite toy to glide across the surface of New Zealand gnarliest rivers and lakes. See some of our favourites in 17 Places to Jet Boat in New Zealand. As mentioned, New Zealand has a whole lot of fascinating wildlife, but the creature everyone is intrigued to see is the kiwi bird! This nocturnal flightless bird is elusive and difficult to find in their natural environments. However, taking a night tour is a rewarding way to see what the kiwi bird gets up to. Alternatively, there are many conservation kiwi houses across the country where you can see kiwi in captivity as part of breeding programs. Find out where to see kiwi birds here. One of those bucket list activities is to see the majestic glaciers of New Zealand. In particular, Franz Josef Glacier, Fox Glacier and the Tasman Glacier. Take a helicopter flight through the valley carved by the glacier then land on top of the glacier itself where you’ll be exploring ice caves, crevasses and getting some awesome photos.